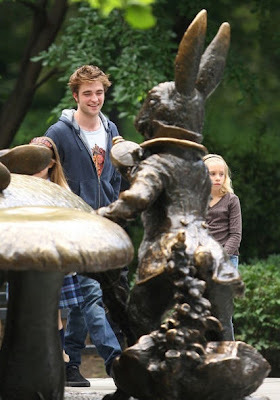 is this on the set of remember me? 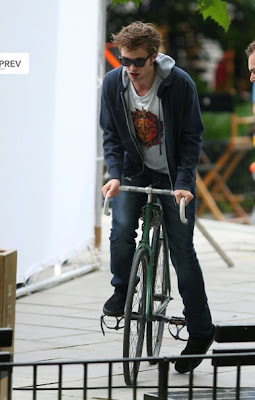 Rob, bless his British heart, looks like one of those people WAY to uncoordinated to ride a bike. Good thing he is soooooo pretty. 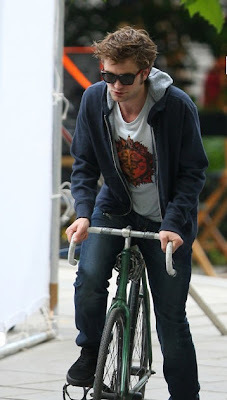 Hahaha...Rob is so not the biking type of guy...very awkward. I love him for that!